Welcome to The Bellaire MENS Club's website! Currently, we are raising money to develop our website and below are some basic needs and ways to support some of the young men's signature charity events...any support you can give would be great! 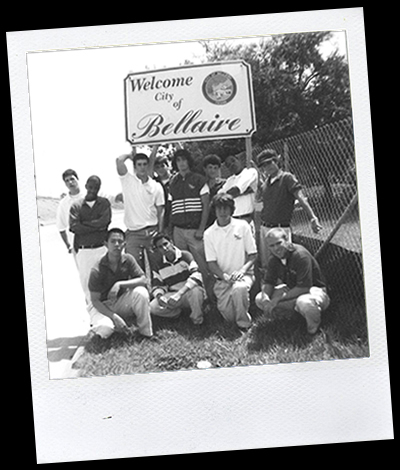 The Bellaire MENS Club is a 501(c)3 non-profit committed to being a prestigious and exceptional diverse male youth community service organization, committed to serving the Bellaire and Southwest Houston areas, while enriching the cultural and life experience in its male youth. Open to juniors and seniors, the BMC offers young men hands-on experience in philanthropic, social and educational opportunities. Annual projects such as the BMC B.O.B. charity concert that gives 100% of the ticket sales to another non-profit; a canned good carwash benefiting the Houston Food Bank and a fall formal that serves a toy drive for the Gulfton area Gabriel Mistral Early Childhood Center, countless community beautification projects, an elegant SENIOR Prom for the senior citizens at the Medallion and Seven Acres to name a few, are all organized by the student officers in an effort to gain important leadership and life skills.